We stay busy all the time. Here you can read about some of our latest adventures. 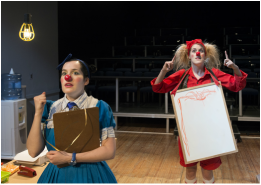 In September, we had our fill of delightful audiences, bagels, and poutine as we toured to the TaDa! 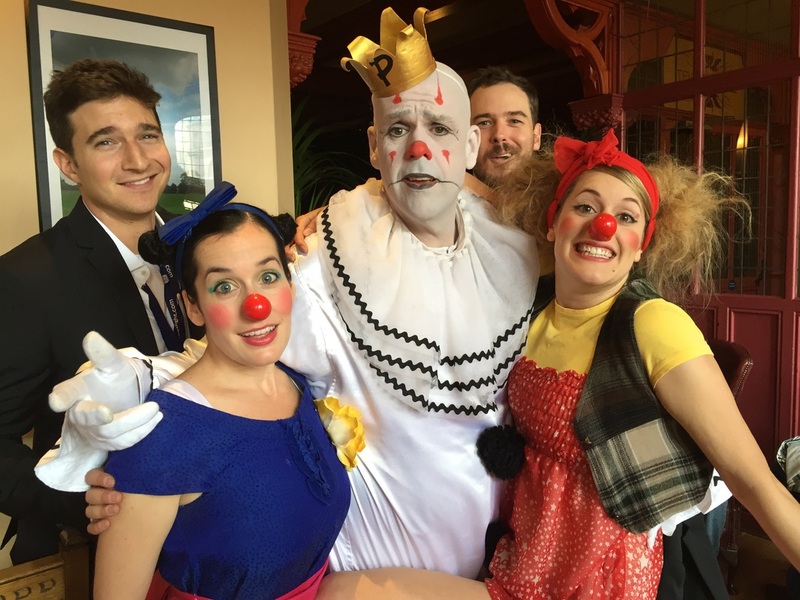 Festival in Wakefield and the Montreal Clown Festival. Our closing show in Montreal had one of our favourite moments of all time, as a little boy dressed as a bunny joined us onstage for an ending that left everyone in tears. 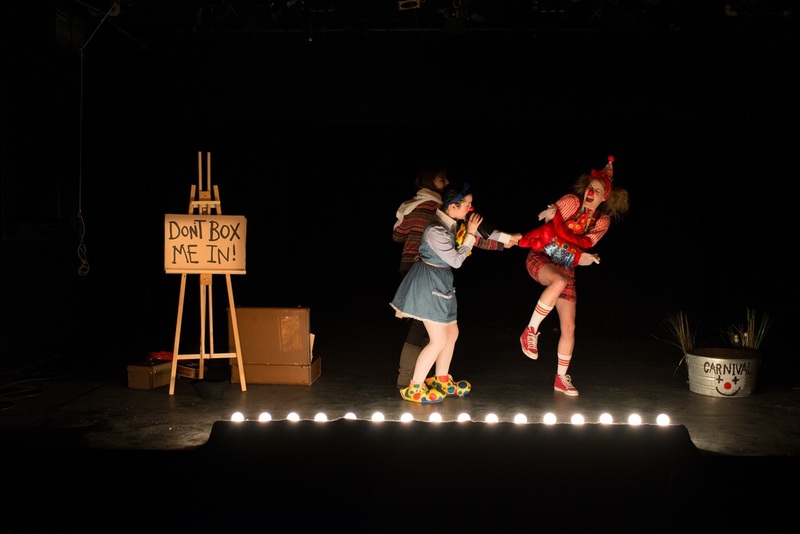 After a sold-out, smash hit run at the Toronto Fringe, Morro and Jasp: Save the Date was an official selection at Best of Fringe at the Toronto Centre for the Arts. 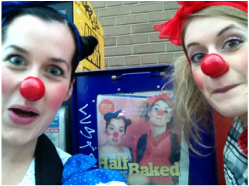 After being featured in the Toronto Star, and as the Cover Clowns for NOW Magazine, we had one of our most successful shows to date. 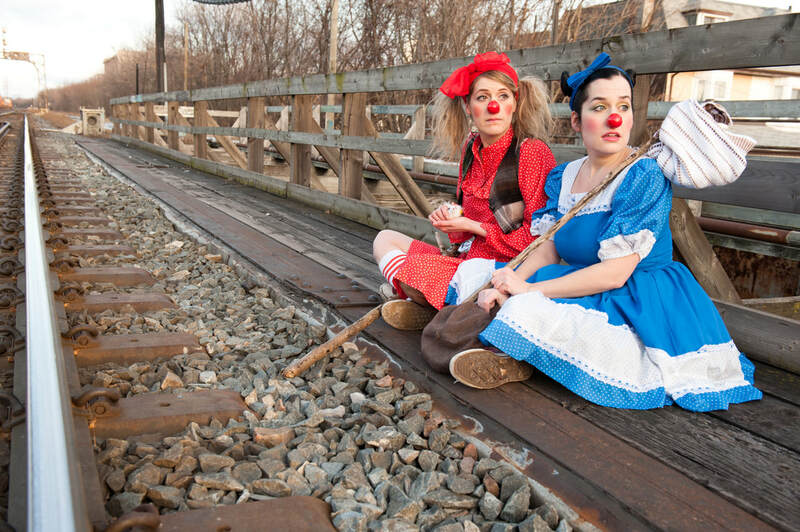 "Toronto’s favourite clown sisters have a new two-hander in the Fringe this year and it’s everything you ever wanted from them"
​Of Mice and Morro and Jasp was part of Manitoba Theatre for Young People's 2017/18 season. We toured to high schools across Manitoba with bunnies in tow and Steinbeck in hand, changing the world one teenager at a time. 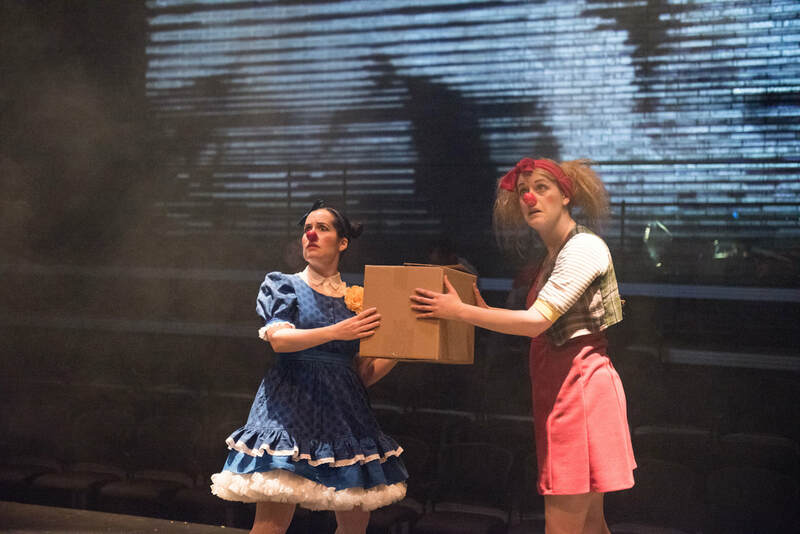 Morro and Jasp in Stupefaction premiered at Crow's Theatre in June 2017. 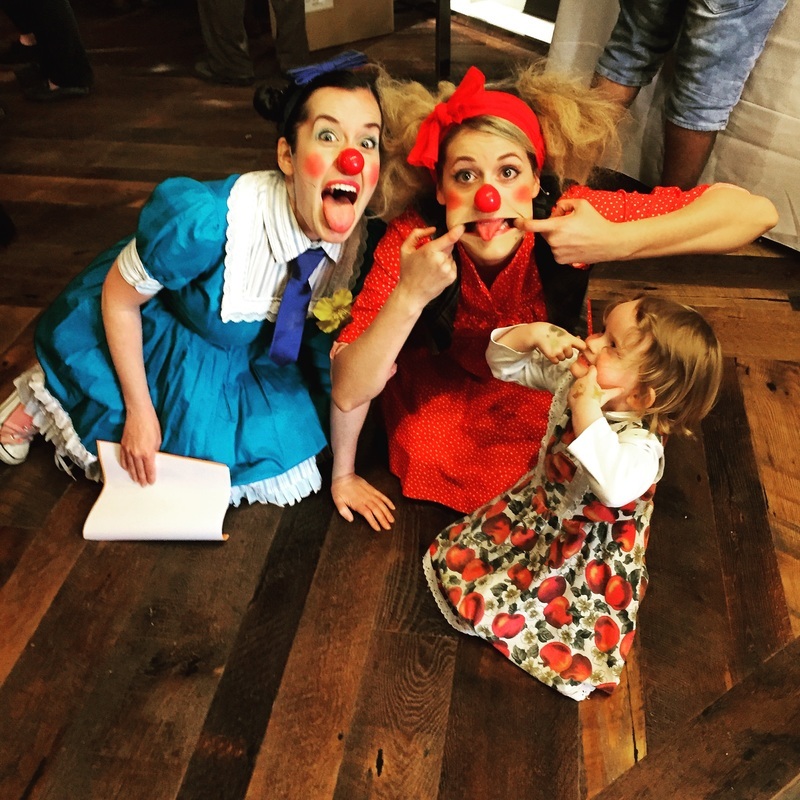 It was our most ambitious show to date and it played to packed and enthusiastic audiences. It was produced by Kabin and U.N.I.T. Productions and employed an amazing team of 25! ﻿Morro and Jasp do Puberty was officially selected to be a part of Sarasvàti Productions' FemFest 2016 lineup. The show had packed performances and it was a delicious homecoming to the city where this show first debuted in 2008. While we were there, we talked to high school students, university students, we taught two workshops, and we talked about periods on the radio. Mission successful! 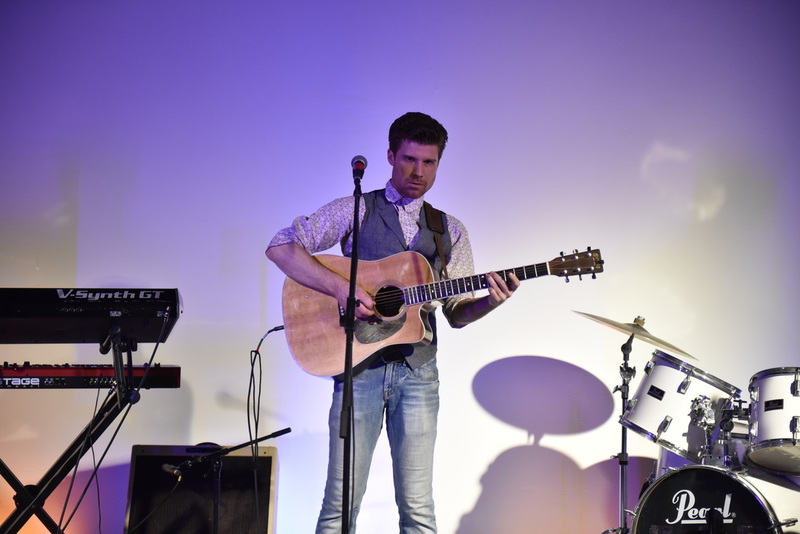 ﻿On Wednesday, May 11, Morro and Jasp hosted some of the best comedy and musical acts in Toronto when they put on a special fundraising show for the relief efforts of the Canadian Red Cross Alberta Fires Appeal. The event was produced by U.N.IT. Productions, MARRAM, and KABIN Studio. Their goal was to raised $5,000 and the event more than doubled that by raising $13,000. Performers included Elvira Kurt, Chris Gibbs, DeAnne Smith, Silvi Santoso, Mark Correia, Jennifer Walls, Kevin Wong, Reid Janisse, Ashley Botting, Kris Siddiqi, Caroline Brooks of The Good Lovelies, Tiny Danza, Ellevan, Duff MacDonald, Jenn Kee, The Younger Brothers (Jason O'Brien, Andy Perun and Steven McCarthy), Ergo Sum (Pamela Gilmartin, Jeff Shewchuk and Donna Michelle St. Bernard), Jeff Giles, Clancy, and McCallaman. Sponsors, donors and visual artists offered door prizes, food and beverage, silent auction items and services. They included Dual Audio, Cinq Foods, Steamwhistle Brewery, Cobs Bread, Red Rocket Coffee, JustB Salon, Left Field Brewery, Catherine M. Thompson, George Street Diner, Toronto Dance Theatre, Shakespeare BASH'd, Steven Nederveen, Elisabeth Munsterhjelm, Second City Toronto, Nightwood Theatre, Storefront Theatre, Alex Nirta Photography, Anastasia Goryachih, Tanya Klochkov, Clare Preuss, The Good Lovelies, Jeff Giles, Ellevan, The Circus Academy, Mann Casting, Tapestry Opera, Sony Centre for the Performing Arts, Mirvish Productions, Mythical Matters, Joe Sutherland, Sage Whitworth Photography, Kliffer Entertainment, The Food Dudes and Fly Girl Fitness. Media coverage by Glenn Sumi (NOW Magazine), Jill Deacon (CBC Radio Here & Now) and Paul Dutton & Julianna Greco (Snap’d) is also greatly appreciated as were Alexis Da Silva-Powell’s TAPA Industry Listings inclusion (Toronto Alliance for the Performing Arts). The “Artists for Fort Mac” fundraiser took place at KABIN, a new arts incubator at 11 Carlaw Avenue, Unit 6, Toronto (south of Queen and Carlaw). On April 28th, we performed at Buddies in Bad Times in This n' That hosted by the amazing Mary Ellen MacLean. The event was sold out and we had buckets of fun! 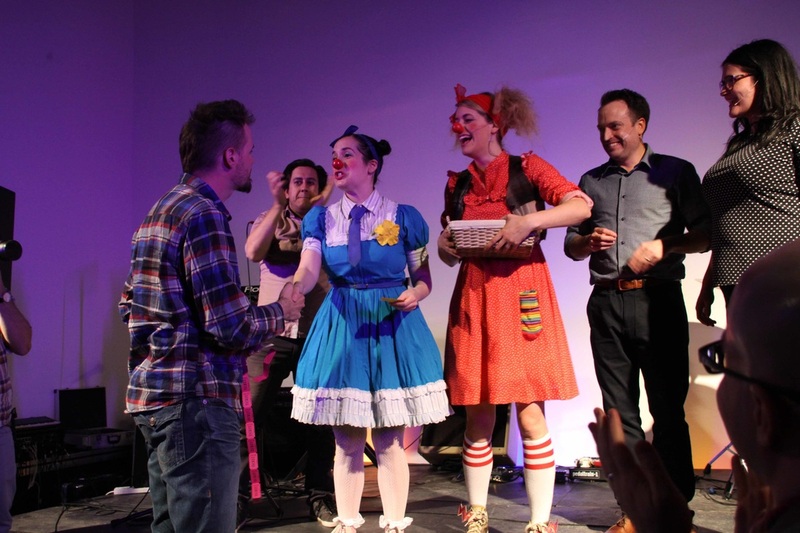 On April 9th, we performed at The Comedy Bar in A Very Mark Forward Pajama Party. It was a sold out evening of hilarity and we got to play with some of the best stand ups around. 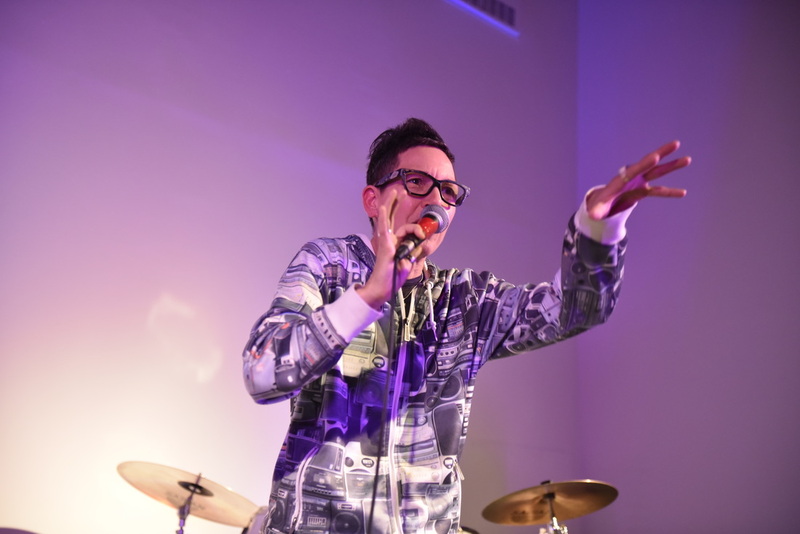 You can read Exclaim's write up of the evening here! 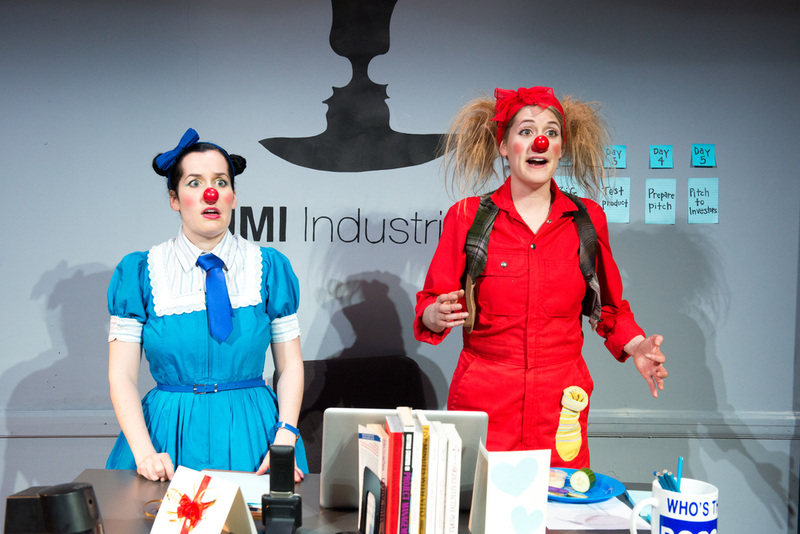 On December 1, 2015, we performed Of Mice and Morro and Jasp to a sold-out audience (with a waiting list) at the international clownin Festival in Vienna. Our show was the Canadian show amongst eleven others from Japan, Brazil, Turkey, Italy, Russia, France, Austria, Argentina, Brazil and Sweden. 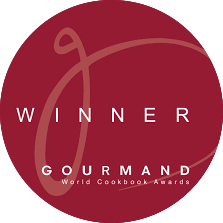 It was a delicious and exciting adventure and we look forward to more globe-trotting adventures soon! 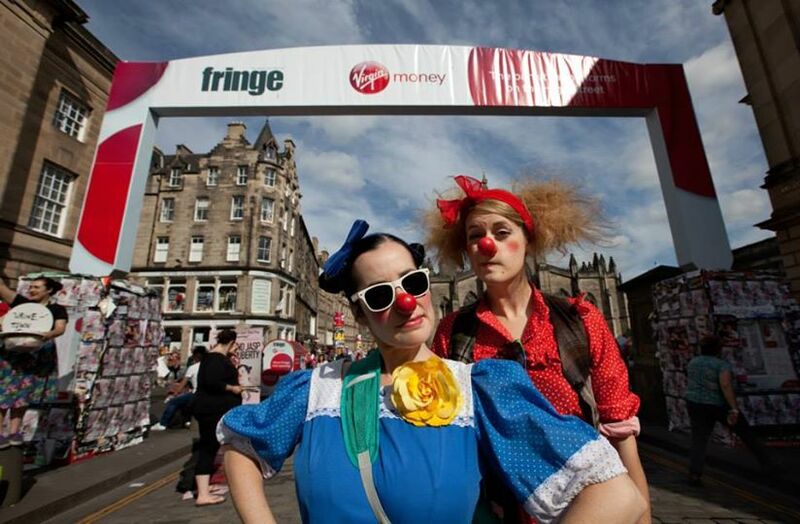 Morro and Jasp do Puberty sold out at the Edinburgh Festival Fringe and earned rave reviews.